I'd like to share with you what I think are some of the most important things to pack when walking the Camino. I'll include recommendations for items that I think require further suggestion. Boots/trainers - I wore Adidas GORE-TEX hiking boots. I found them to be really reliable and comfortable. They had drawstring laces which you could tighten in seconds and they never let in any water. However, I think for the Camino, boots can be excessive. A lot of the days on the Camino are long and flat so I think a good solid hiking shoe would do the trick. Pants/shorts - I walked the Camino in one pair of shorts and I think they were great. Any football shorts will do. Try to find a pair with pockets, that will dry quickly. I always found the weather to be nice enough for shorts and I would recommend only considering bring long pants if walking the Camino in the winter. Laptop - Don't bring a laptop. 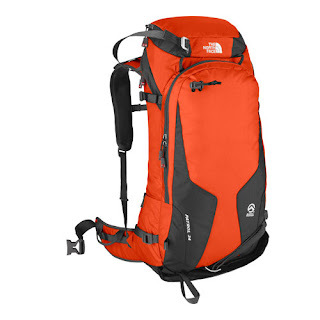 Backpack - I think the most important thing to keep in mind when purchasing a backpack is comfort. Go to a hiking store and try on a few bags until you find something that works for you. I wouldn't recommend taking a bag over 40L. Make sure it has hip straps and lots of compartments for all of your equipment. Hat - Everyone has a different preference. I personally had a grey baseball cap that I wore backwards. About halfway through I purchased a straw fedora to keep the sun off my face. Find something that works for you. Waterproof jacket/poncho - I was lucky enough to only have to endure one day of rain. I don't think it's worth purchasing a $400 hiking jacket for the Camino. Something lightweight will do the trick during the summer months. Camera - I brought a Sony Action Camera and it was great! I could transfer my photos wirelessly to my phone, and it was waterproof so I could take photos and videos in the rivers. I saw a few people with larger DSLR cameras and while the photo quality is great, the weight and size should be considered. Keep in mind that you might already have a smartphone with a great camera. Don't forget to bring spare memory cards! You can buy a Sony Action Camera on Amazon by clicking here. 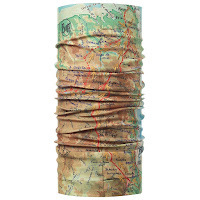 Buff - A buff is a multifunction scarf. I packed a few buffs away in the bottom of my backpack and ended up using them everyday! They're great for keeping the sun off your neck or the hair out of your eyes. 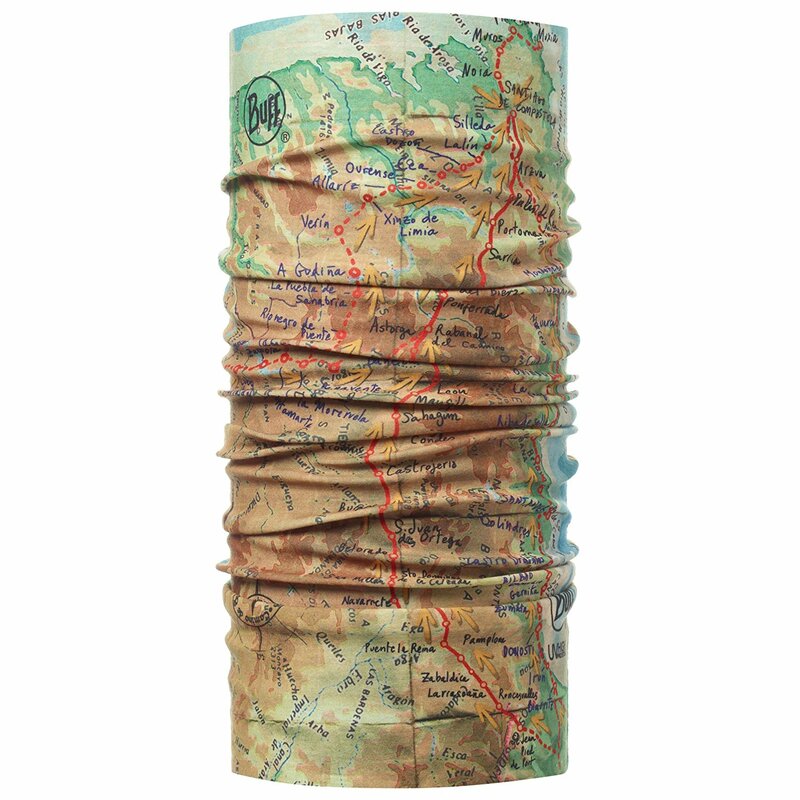 You can even buy a buff with a map of the Camino printed on it. Click here to find it on Amazon. Towel - Buy a quick drying towel from an outdoors store. They save lots of room in your backpack and are lightweight. I would buy the XL, as anything smaller leads to an incredibly depressing shower-time experience. Buy one online by clicking here. Kindle - I didn't bring a Kindle and I don't think you need one. Diary - I'm a big fan of journaling and would recommend that everyone brings along a diary to document their experience. It doesn't have to be big and you don't have to write huge entries. Make it fun. Paste in photos from your trip and train tickets from before and after your Camino. Smartphone - I had an iPhone with me and I used it as a map, torch, camera, and as a phone.. People say they want to detach themselves from technology when on the Camino but don't leave your phone at home! You may need it in case of emergencies. At the very least, turn it off and put it in the bottom of your pack. Power bank - A power bank is a rechargeable battery that you can use to charge your other devices. They're the size of a mobile phone and a full charge will usually let you fully charge your phone or camera 2 or 3 times. Your friends will also love you when their phones die and you can help them out. You can buy one online by clicking here. Click here to read about surviving your first day on the Camino. Find and like my Facebook page by clicking here. This is great. .. thanks! Over the past 2 years I have walked well over 3,500 km of camino trails in Switzerland, France, and Spain (in addition to non-camino hiking) and have never had a single blister. I'm convinced that this was due to having custom moulded insoles in my hiking boots. The insoles I have are from a company called Foot Balance. Here is their website http://www.footbalance.com. I'm planning to walk again in 2017 and will definitely have these insoles in my camino footwear. There are many types of packing tape ranging from the basic vinyl packing tape, which is waterproof, strong and tear-resistant, to masking tape which is made of creped paper and is not as strong.